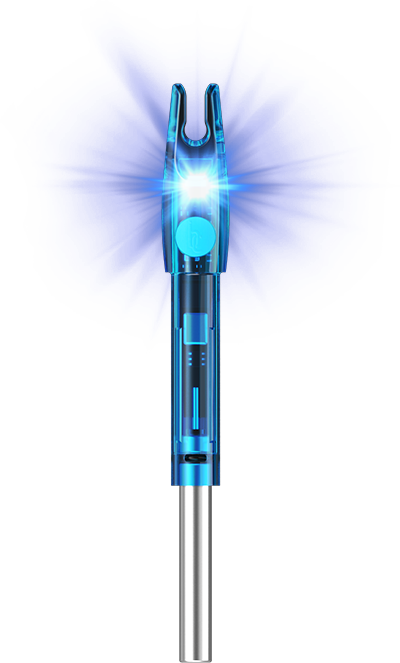 Hit or miss, now you can always retrieve your arrows. 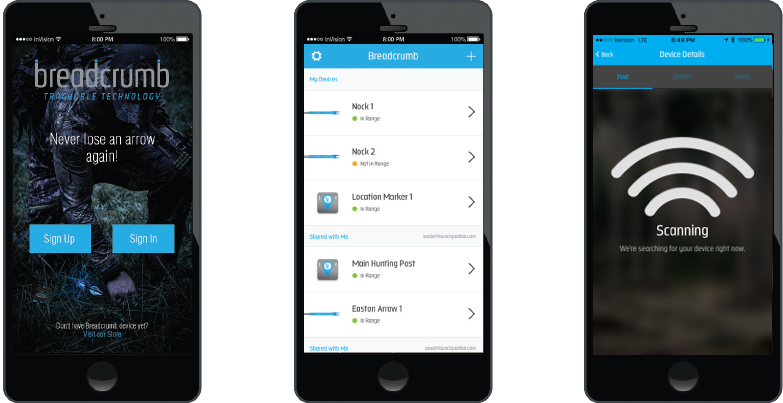 The Breadcrumb Bluetooth Trackable Nock and smart phone app will simplify your search to get you back on track. 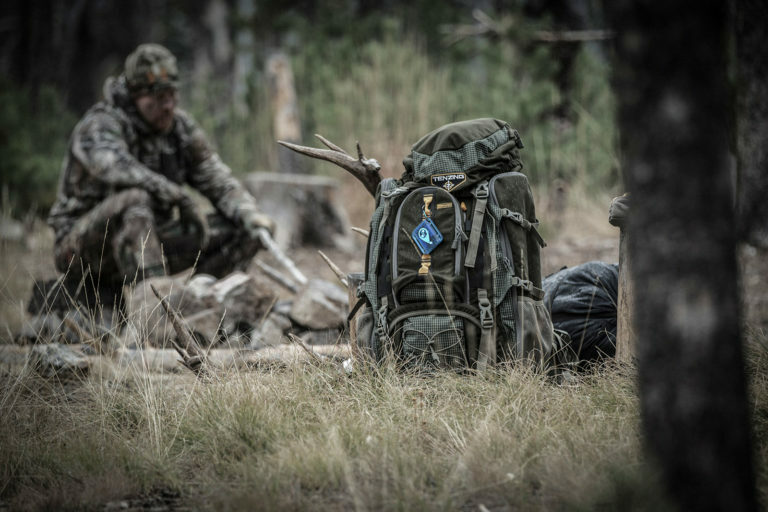 Hunt for game, not your stuff. The Breadcrumb Bluetooth Location Marker uses lights, sound and a mobile app to help you quickly find anything in the field. Intuitive and easy to use, the Breadcrumb Tracking App manages and activates all of your Breadcrumb devices. 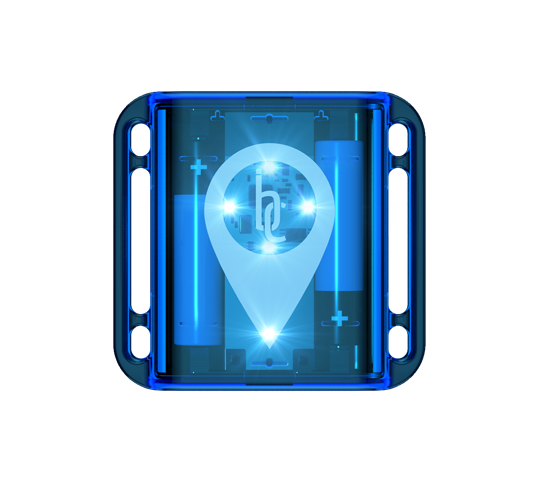 Search for locations, activate the light or sound beacons, and share locations with others all from the intuitive mobile app. 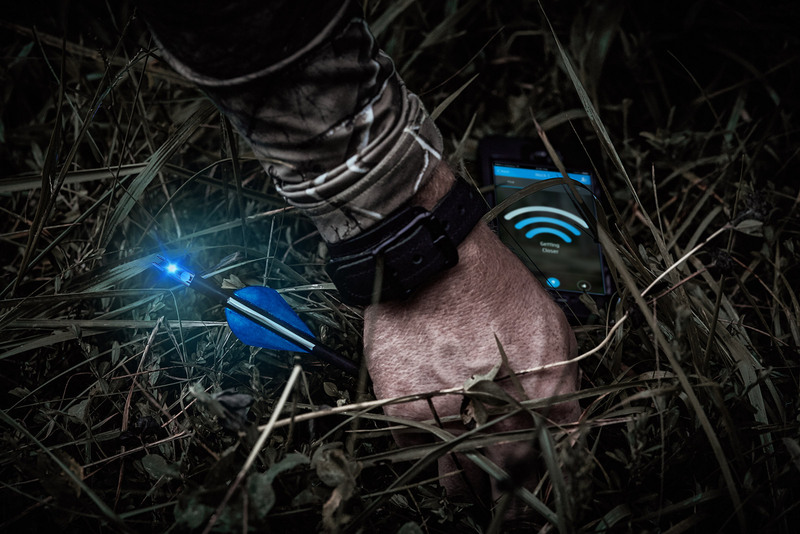 Breadcrumb Bluetooth Trackable Nocks use LED light, pulsating sound and a mobile tracking app to locate arrows up to 100 yards away. 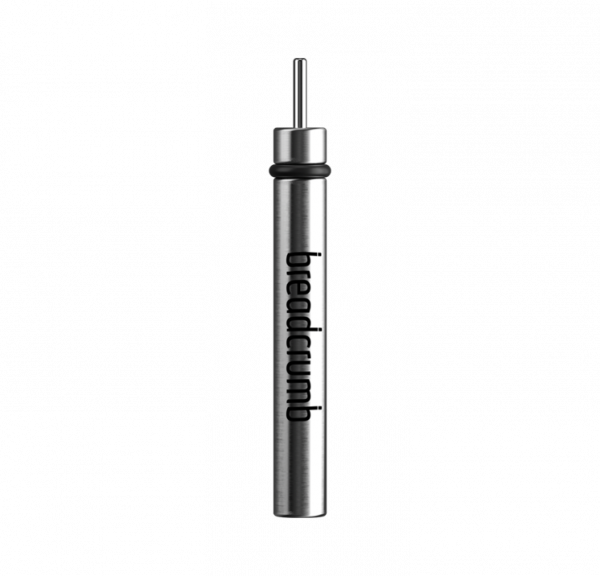 For those ready to act now, we’re offering a limited number of Breadcrumb products at 40% OFF the retail price. Once these items are sold, the price to pre-order Breadcrumb products will remain at 25% OFF while supplies last. So the time to act is now! We expect to ship our pre-orders by early 2018. Orders after our pre-order window are not expected to ship till Spring ’18. 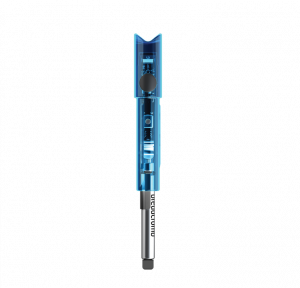 Breadcrumb Bluetooth Trackable Nocks are available in multiple sizes & designed to fit many of the most popular arrows & crossbow bolts. Available in flat and half-moon ends for crossbows. 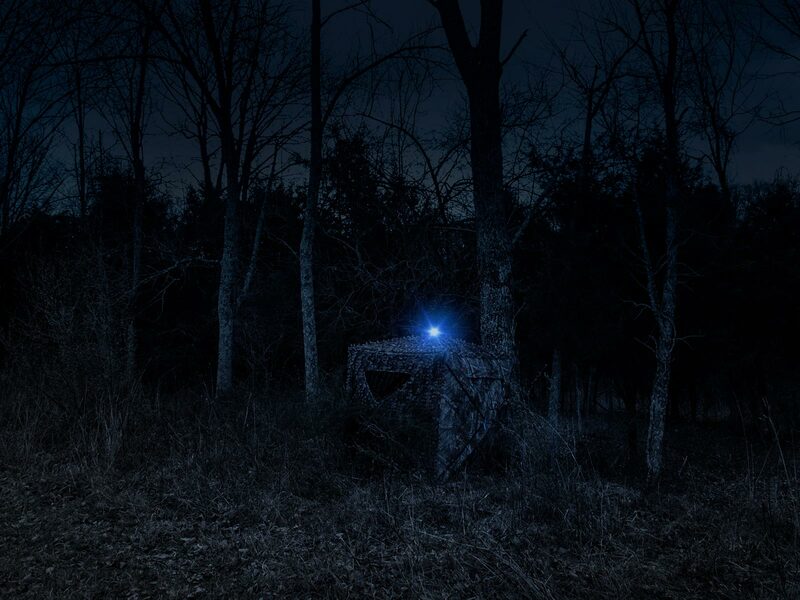 Find out why Breadcrumb’s new Bluetooth Nock has hunters and archers all lit up. Here’s something else you may find interesting. Breadcrumb Bluetooth Location Markers allow you to find anything in the field – day or night. 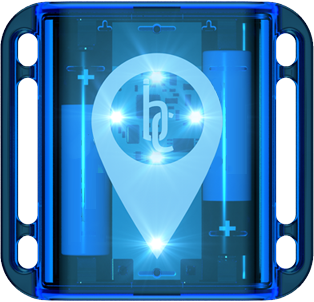 Use with your mobile app to track gear and locations and activate light and sound beacons. 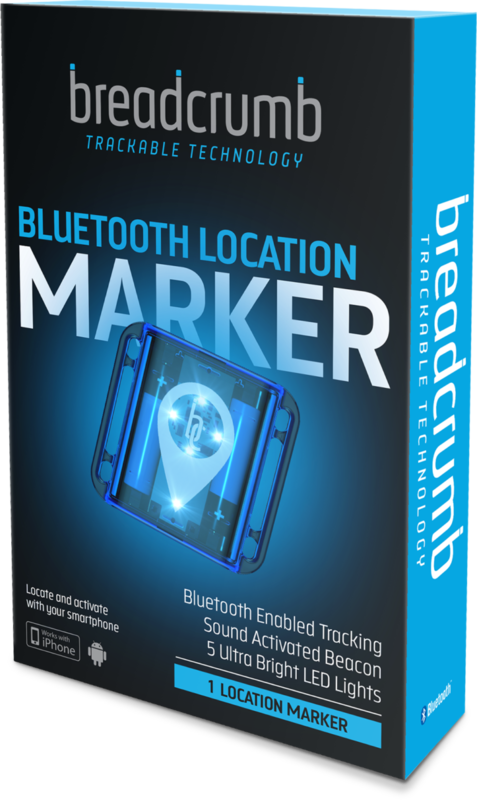 Discover the details that make Breadcrumb Bluetooth Location Markers such a find. 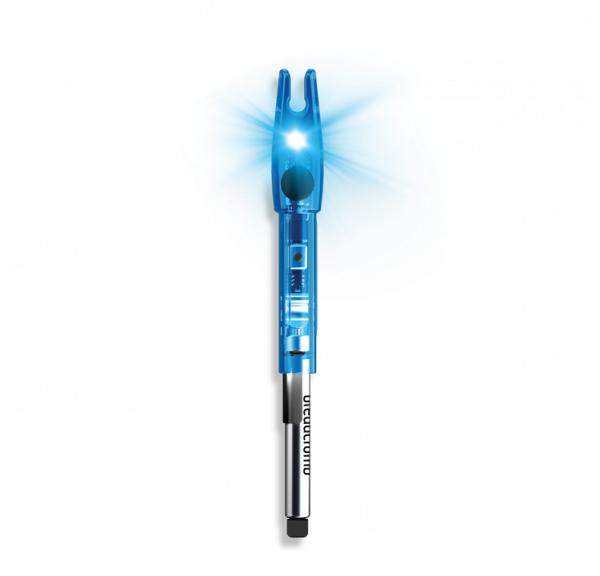 We have limited quantities available so orders will be shut off after quantities are exhausted. 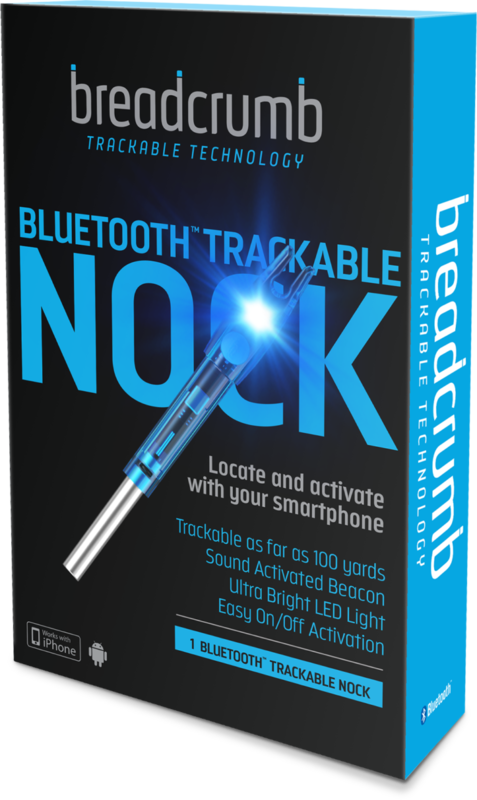 Get Breadcrumb’s innovative Bluetooth Trackable Nock. Get the Breadcrumb Bluetooth Location Marker to identify your go-to spot. Two batteries, o-rings and shrink film designed to fit Breadcrumb arrow and crossbow nocks.